The complete syllabus starting 2009. 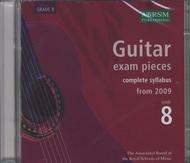 ABRSM Exam Pieces, Collection. Education. CD. Published by ABRSM (Associated Board of the Royal Schools of Music) (A3.9781860969577). 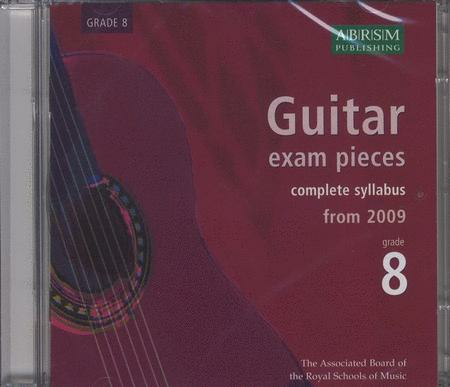 Recordings of all the pieces from the ABRSM Grade 8 Guitar Syllabus, from 2009. All duos are accompanied by another guitar, and playalong tracks for these pieces are also included. A valuable resource for candidates preparing for ABRSM exams.